This is a rolling piece where I am trying to keep track of the women members of both The R&A and Augusta National Golf Club. The inaugural Augusta National Women’s Amateur revealed that the Club had recently taken on its sixth female member. Heidi UEBERROTH (52) was seen sporting a green jacket on the grounds during the competition. Mrs. Ueberroth is a Director of the Pebble Beach Company and Electronic Arts. She is formerly an executive at the National Basketball Association. She is an accomplished golfer too. I thought I should branch out and start keeping a track of the women members at Augusta National Golf Club (ANGC), the home of The Masters, too. Like The R&A and other exclusive Clubs Augusta National does not as a rule make formal announcements concerning new members. Both Clubs did of course do so when admitting their first female members. On 20th August 2012 Condoleezza RICE (b.14/11/54) and Darla MOORE (b. 01/08/54) were announced as the first two women to be admitted to the ANGC membership. Chairman Billy Payne said at the time “These accomplished women share our passion for the game and both are well known and respected by our membership”. Rice was very well known from her days in international politics, serving in high office under President George W. Bush. She was the 20th United States National Security Adviser (2001-05) and 66th Secretary of State (2005-09). Darla Moore was a less well known South Carolina financier and philanthropist. A billionaire partner in private investment firm Rainwater Inc she was the first women to grace the front cover of Fortune magazine. 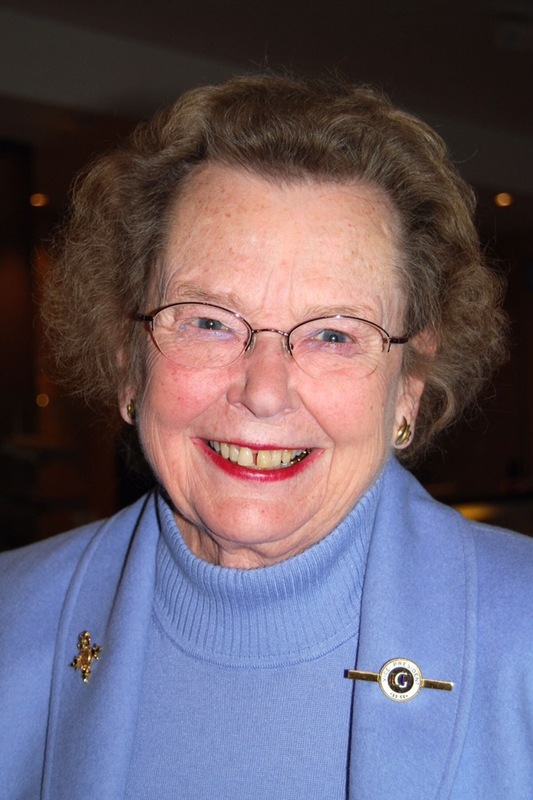 Her husband, who passed away in September 2015, introduced her to the game and she was a long time friend of former ANGC Chairman William “Hootie” Johnson (1998-2006). Johnson was Chairman when the ANGC’s male only membership policies were first brought under the microscope in 2002 by Martha Burk, the head of the National Council of Women’s Organisations (NCWO). The debate lasted for a few months but Johnson held firm. He said ” Our membership is single gender just as many organisations and clubs across America. These would include junior leagues, sororities, fraternities, boy scouts, girl scouts and countless others. And we all have a moral and legal right to organise our clubs the way we wish”. Following the uproar two members resigned and pressure on corporate sponsors led to the 2003 and 2004 Masters tournaments being broadcast without commercials. The pressure for women members next came to prominence in 2011 when Chairman Billy Payne was asked to explain the Club’s decision not to offer Ginni Rometty, the recently appointed CEO of IBM, membership – every previous holder of this role having been been invited to join ANGC. IBM is a long term generous sponsor of The Masters and this arrangement was said to be part of the deal, as it is with other corporate partners Exxon Mobil and AT&T. In 2011 the International Olympic Committee discussed ANGC’s male only membership as part of their considerations as to whether golf should be re-admitted to the 2016 Rio Games. The Olympic criteria included the words “sport practiced without discrimination”. In 2012 two gender discrimination lawsuits brought by the NCWO against companies associated with ANGC led to $79m settlement payments and bans for the companies from entertaining at or in conjunction with facilities that discriminate on the basis or race or gender. Not unexpectedly Virginia “Ginni” ROMETTY (b. 29/07/57) became the third women member of ANGC in 2014. She is the Chairman, President and Chief Executive Officer of IBM. Understandably given her role Rometty is currently only an occasional golfer. Diana M. MURPHY, the recently retired 64th USGA President, was seen sporting a green jacket ahead of the 2018 Masters and is therefore believed to be the fourth women member of ANGC. Many former USGA President’s have been invited to join ANGC after completing their terms of office including her husband Reg Murphy who served as President between 1994-96. New ANGC Chairman Fred Ridley is himself a former USGA President. Mrs. Murphy has a background in finance having being the Managing Director of private equity firm Rocksolid Holdings LLC. Finally Ana Patricia BOTÍN (57) was also reported to have joined Augusta National in early 2018. Botin is the Executive Chairman of Santander Bank, having taken over from her father Emilio. Her sister Carmen was married to Seve Ballesteros and coming from a golfing family she is a sound golfer. Lally SEGARD (nee Vagliano), one of The R&A’s original female honorary members in February 2015, passed away aged 96 on 3rd March 2018. Lally was one of France’s best amateur players winning numerous national and international titles. Amongst her honours she won the Girls British Open Amateur Championship (1937) and the Ladies British Open Amateur Championship in (1950). After her playing career had ended she successfully turned her attention to administration holding senior roles at the French Golf Federation, European Golf Association and the World Amateur Golf Council. The number of women’s honorary members therefore has now fallen back to 8. The R&A today announced that Bridget JACKSON MBE, Hon D.Sc. (Birmingham) and José María Olazábal had accepted invitations to become Honorary Members of The Royal and Ancient Golf Club of St Andrews. Mrs. Jackson takes the number of current women honorary members to nine. The overall total is now eighteen. Born in Birmingham, England in 1936, Jackson won the Girls’ British Open Amateur Championship in 1954 and two years later triumphed in the English Ladies Closed Championship and German Ladies Championship. She also won the Canadian Ladies Championship in 1967. Bridget played in the Curtis Cup for Great Britain and Ireland on three occasions. Initially included as a reserve in the GB&I team for the 1958 Curtis Cup against the United States, the withdrawal of Philomena Garvey led to Jackson playing in the match for the first time, which was tied 4½ – 4½, at Brae Burn. Jackson would also play for GB&I in the Curtis Cup in 1964 and 1968, and the Vagliano Trophy match against the Continent of Europe on four occasions. In 1973 and 1975, she was the non-playing captain of winning GB&I teams in the Vagliano Trophy. She was selected as an England international nine times. In 1964, Jackson was selected as playing captain by England to play in the first ever Espirito Santo Trophy at the World Amateur Team Championships, winning a bronze medal. She also won the Home Internationals with England on six occasions. Following a successful playing career, Jackson became a talented golf administrator and was chair of the English Ladies Golf Association from 1971-72 and President from 1993-95. She became President of the Ladies’ Golf Union in 1998 and subsequently an Honorary Vice-President. She has also been President of Handsworth Golf Club and Royal St David’s Golf Club. She was made a MBE in 2003 for her services to women’s golf. A number of new Ordinary Members have also recently been omitted but details are currently scarce. Ewan Murray of The Guardian today reported on the fact that The R&A’s female members have no changing room inside the famous St Andrews clubhouse which opened in 1854. Women members use recently refurbished facilities in Forgan House, an R&A-owned building 100 yards away on The Links street. The R&A have explained that this is simply down to a lack of space and they have no immediate plans to rectify the situation. Personally I find it hard to believe that any new women members will have complained about the situation given the short distance between the two buildings. It also appears that The R&A have done everything they can to make their new facilities as comfortable as possible. The Royal & Ancient Golf Club of St. Andrews (The R&A) today announced, at the start of its Spring Meeting, that Sir Bob Charles ONZ, KNZM, CBE has become an Honorary Member. Now 80 years old the New Zealander is best known for winning The Open Championship at Royal Lytham & St. Annes G.C. in 1963. He is the Club’s 16th male Honorary Member. There are now 8 female Honorary Members. All of them are listed in my articles below. The Royal & Ancient Golf Club of St. Andrews (The R&A) has today announced two new women Honorary Members. As one would expect both ladies have made substantial contributions to golf as both players and administrators. 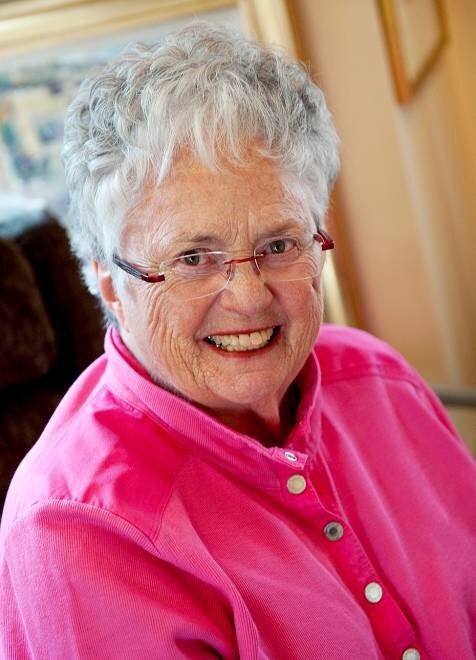 Marlene STEWART STREIT (CAN), aged 81, won 11 Canadian Ladies Open Amateurs, 9 Canadian Ladies Close Amateurs, 4 Canadian Ladies’ Seniors and 3 U.S. Senior Women’s Championships. She also won the Ladies’ British Amateur Championship in 1953, the U.S Women’s Amateur in 1956 and the Australian Women’s Amateur in 1963. In 2004 she became Canada’s first member of the World Golf Hall of Fame. 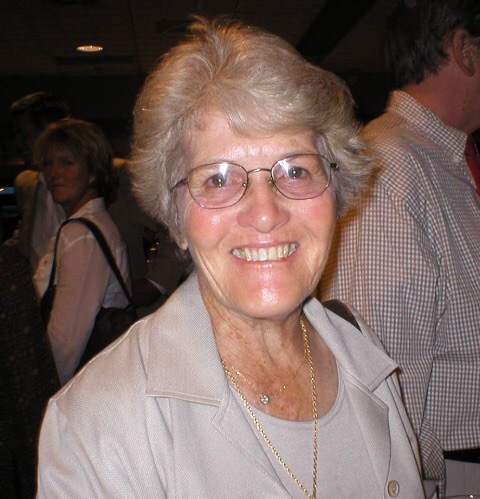 Judy BELL (USA), aged 79, played in two Curtis Cup teams, 1960 and 1962, and also captained the team in 1986 and 1988. In 1996 she became the first woman to be named President of the USGA and in 2001 was inducted into the World Golf Hall of Fame. In the same announcement it was stated that, ‘A further eight women have also become (Ordinary) Members of the Club’. The Club’s protocol is not to reveal the names of Ordinary Members. However, Golf Digest have reported that they include Diana MURPHY, the recently nominated new President of the USGA (the second women President after Judy Bell), Jay MOTTLE, the executive director of the Metropolitan Golf Association, and Christie AUSTIN, a former USGA Executive Committee member. Steve Scott in Scotland’s The Courier reported that Hazel IRVINE, a St. Andrews University graduate (and golfer) better known of course as a BBC sports presenter, and Diane BAILEY, the former amateur golfer and Curtis Cup captain and current President of the Ladies Golf Union, were also amongst the latest intake. Since the original announcements in February both Honorary Member Louise SUGGS (7th August 2015) and Ordinary Member Patsy HANKINS (22nd October 2015) have sadly both died. Therefore by my calculation the R&A now has 22 women members. On 11th May 2015 Lady Angela BONALLACK became the first women member to represent the R&A in a match – she played in the annual friendly against the Links Trust. She also went on to win one of the R&A Spring Medals on 14th May 2015. Claire DOWLING gave the 2015 new members address at the Annual Dinner held in September at the St. Andrews Fairmont Hotel. She now also sits on The Rules and Equipment Committee. On 10th February 2015 The R&A announced that Her Royal Highness (HRH) The Princess Royal (UK), Dame Laura DAVIES (UK), Renée POWELL (USA), Belle ROBERTSON MBE (UK), Lally SEGARD (FRA), Annika SÖRENSTAM (SWE) and Louise SUGGS (USA) had accepted invitations to become Honorary Members of the Club. There was some irony in the inclusion of HRH The Princess Royal given her previous comments on the sport: “Golf seems to me to be an arduous way to go for a walk. I prefer to take the dogs out”. As an aside I can see Karrie WEBB (AUS) being added to this list relatively quickly after she retires from competitive play as her achievements and nationality clearly make her a worthy candidate too. These seven ladies join the 15 male Honorary Members that the St. Andrews-based R&A already has. These include HRH The Duke of Edinburgh, HRH The Duke of York, HRH The Duke of Kent, President George WH Bush, Peter Thompson CBE, Jack Nicklaus, Arnold Palmer, Gary Player, Tom Watson, Lee Trevino, Roberto De Vicenzo, Tony Jacklin CBE, John Jacobs OBE, Peter Alliss and Sir Michael Bonallack. This announcement followed The R&A’s historic vote in favour of admitting women as members in September 2014, overturning an all-male tradition that had been in existence for 260 years. The Club had been under pressure to reform itself from politicians and women campaign groups for a number of years prior to this. On the same day a member communication from The R&A was leaked revealing that a further seven women had accepted invitations to become Ordinary Members. These were Lady Angela BONALLACK (UK), Claire DOWLING (IRE), Diane DUNLOP-HÉBERT (CAN), Patsy HANKINS (NZ), Martha LANG (US), Carol SEMPLE THOMPSON (USA) and Marion THANNHÄUSER (GER). In this communication Peter Dawson of The R&A stated that all of “These new (Ordinary) Members have made considerable contributions to the game of golf as players and / or administrators”. It also intimated that the Ordinary Members had been finalised before the Honorary ones thus suggesting that the second list contains the names of the first women members not the first as was understandably widely reported in the media. At a press briefing last week The R&A’s Peter Dawson stated that no women had turned down invitations to join the existing 2,400 male members. Traditionally the Club has bestowed Honorary membership on the Principal of St. Andrews University. However, the current incumbent, Professor Louise Richardson was not included in the announcement. Congratulations to the five R&A women members from Great Britain and Ireland (GB&I), HRH The Princess Royal, Dame Laura DAVIES, Lady Angela BONALLACK, Belle ROBERTSON and Claire DOWLING. Copyright © 2015-2019 Mark Eley. All rights reserved.